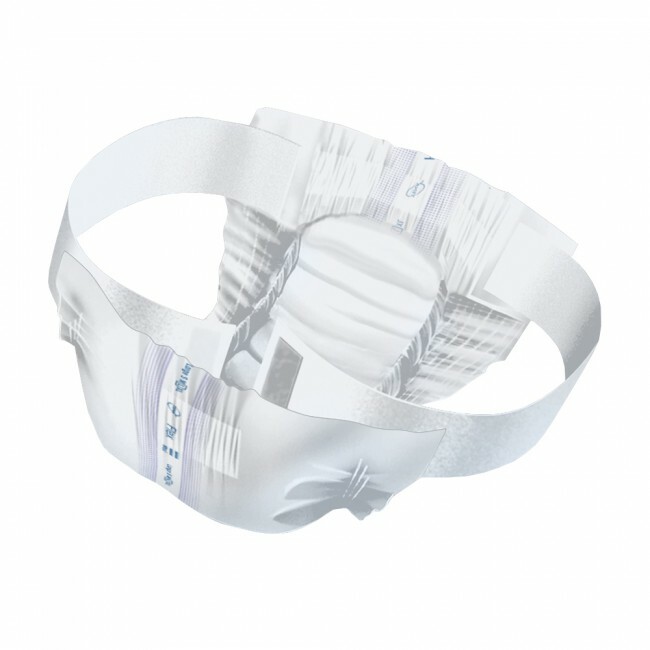 Tena Flex Maxi are discrete, super absorbent all-in-one products designed for managing heavy to severe incontinence. The products are anatomically shaped, fitting to the shape of the user's body and providing a secure and close fit throughout the day. The product features double absorbent cores for extra leakage security, providing you with confidence and a feeling of security throughout the day. A Superfit Waist Belt is included in the product to provide a secure and comfortable fit. Simply fasten the belt around the waist, then fix the front of the pad to the belt using the Hook in Line system. The fully breathable outer material of the product ensures air can circulate around the hips. This feature maintains dryness and user comfort, whilst also promoting healthy skin. Special odour neutralizing technology is included in the Maxi product in order to provide you with a fresh, pleasant scent and ensure you are protected against any unwanted odour. The product is designed with a subtle, attractive lilac colour. A special wetness indicator is also included in the product to inform you when the product needs changing. The wetness indicator on the outside of the product turns from yellow to blue when it is time to change. The noise free textile material in the pants ensures that your dignity is maintained during use.